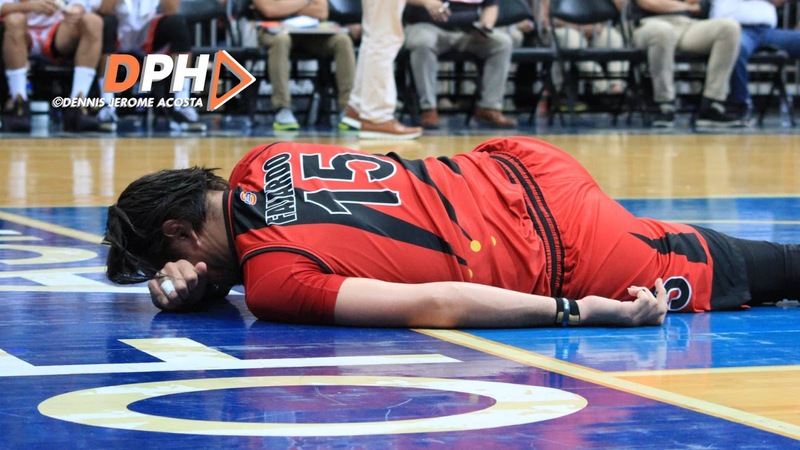 MANILA--Junemar Fajardo took a scary fall in Game 1 of the PBA Philippine Cup semifinals between San Miguel and Phoenix on Saturday night. In the second quarter of the game, Fajardo fell down face first in a rebounding scramble, causing concerns among the Beermen and the crowd at the Mall of Asia Arena in Pasay. Luckily for the dominant big man, it was nothing serious. "Masakit, pero good thing walang masamang nangyari. Hindi grabe," he said. Fajardo even said in jest, "Naawa nga ako sa sahig eh." He also vowed that he will suit up for Game 2 on Monday night at the Smart Araneta Coliseum in Quezon City as SMB goes for a 2-0 lead after the 100-88 win on Saturday. "Siyempre gusto kong maglaro," said Fajardo.